8020 Consultant Ellen Vayner has over 20 years of experience in management consulting and project management. She has worked with several multi-national and cross-functional teams to achieve a variety of results, including an international manufacturing facility move, the establishment of an invoice-to-cash process and the creation of a new reporting package for an executive office. She has worked with clients in entertainment, manufacturing, oil and gas, biotechnology, banking, consumer products and real estate, and her specialties include corporate project management, finance, business case development, budgeting and forecasting. She holds an MBA in Finance and International Business from Carnegie Mellon’s Tepper School of Business, and she has attended a total of eight universities in six countries. She also holds a Project Management Professional certification from the Project Management Institute. Given her extensive experience in project management, we asked Ellen for her insights on completing large, complex initiatives involving cross-functional teams – the kinds of projects that are all too often poorly planned, mismanaged and left unfinished. As it turns out, compromise is not the answer. The key to completion is determining the true, often hidden interests of different stakeholders – and finding ways to satisfy them all. Q: How do you encourage cooperation on a team that involves different employees, managers, departments and organizations? A: I’d like to illustrate this kind of situation with an anecdote. Imagine you have an orange, and you have two clients in front of you who both want that orange. You could do what most people do and compromise. You cut the orange in half, so that each person gets half, and neither is happy. But if you first ask your clients why they want the orange, you might find that one wants the pulp to eat, and the other wants the peel to make marmalade. Without using any extra resources, you can give them both exactly what they want! This is the kind of investigation that needs to happen at the beginning of a project. Most of the time, it’s actually possible to address everyone’s concerns and satisfy everyone’s needs. But when it isn’t possible, you break up the project into two or three smaller ones. When stakeholders’ agendas really do conflict, the project will fail. Q: How do you manage the scope of a project that involves multiple groups of stakeholders and sponsors? A: First, talk to everyone separately and ask them what they want, what their goals are for the project. You usually have to ask, “Why” about six times before you really get to the bottom of things! Once you understand everyone’s intentions and motivations, you may need to break the project down into smaller projects that satisfy those different goals. You need to make a decision whether the goals are so irreconcilable that to achieve them, you need to break the project up. For example, say your R&D department needs a new IT system. Your accounting department already sees them as a cost center and says that putting more money into that technology will be a waste. However, that new IT system will allow R&D to lower their long-term costs and shorten their times-to-market. For them, the project is a matter of improving productivity. For the accounting department, the same project can be seen as an initiative to cut costs. Q: What are the most common conflicts or unstated interests among stakeholders from different departments and organizations? A: Egos, first of all! People usually want more power, they want promotions and they want other people – usually their bosses – to see them as valuable employees. This ultimately causes “turf wars,” with different departments competing instead of cooperating. People are also resistant to change and usually want to stick with the status quo. The best way to solve these problems is to bring in an independent third party, either a consultant or a dedicated project manager. Just as negotiating nations will bring in the UN, you need to consult with someone who doesn’t share the interests of the individual stakeholders at play. 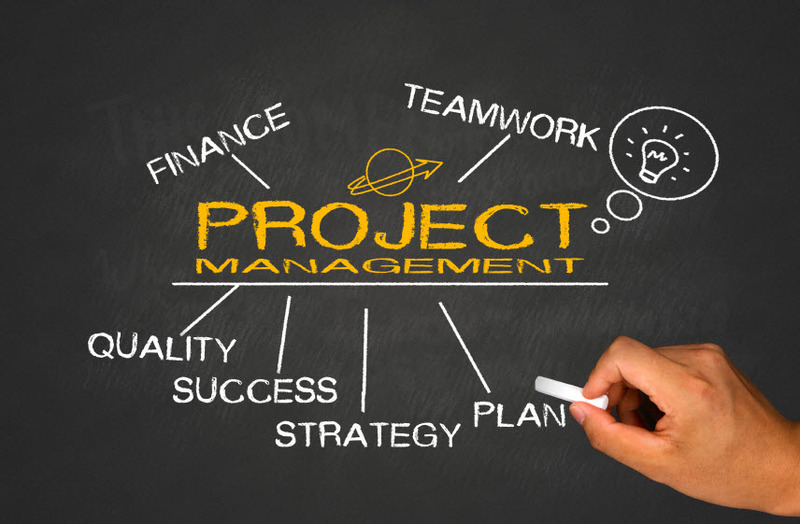 Their goal needs to be the company’s goal – get the project done, on time and on budget! Q: How can you ensure that everyone involved in a project is on the same page, focused on the same tasks and overall goals? A: Communication is key! You’ve got to establish formal channels of communication and schedule times when people will call, email or convene in person. If you’re a good project manager, you’ll also have informal channels of communication with all of the stakeholders involved. Usually people hoard information, which makes it impossible to empower everyone to do their jobs. When communication paths are clear and transparent, however, people tend to be a lot more open. It’s also important to establish short-term goals and achieve intermittent results. Break everything up into manageable pieces, and communicate the completion of smaller tasks so that everyone involved sees the progress towards the final goal. Q: How do you know when a project has been completed successfully? A: From the client’s perspective, a successful project is one that’s completed on time, on budget and (mostly) according to plan. Down the road, you also need to see some kind of measurable result – profitability, for instance – close to what was expected at the outset of the project. As for the consultant’s perspective, that’s easy. The project is successful when the client asks you to stay and do another! Q: Finally, how can you effectively manage interim changes to the scope, schedule, stakeholders and other critical details of a project? A: Change management is, by far, the most technically difficult part of any big project. It has the highest probability to cause delays, overruns, and interdepartmental conflict. In general, it always needs to be a part of the plan from the very beginning, and it should encompass any and all changes that might be made during the course of the project. That said, change management is a topic unto itself – far too complex to cover in the scope of one blog! To better manage change during your next big project, and to encourage better cooperation among all stakeholders involved, please call us at (855) 367-8020.